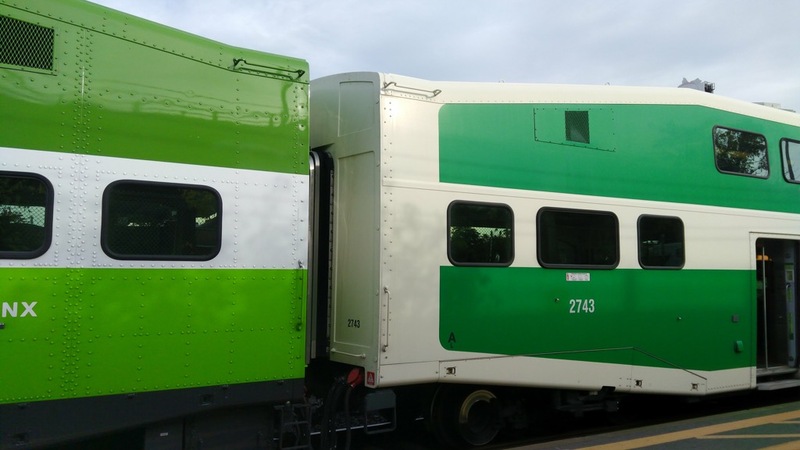 GO Transit, which runs trains and buses in Southern Ontario, was the public transportation backbone of my childhood. It was born shortly after I was, in the mid-1960s, and its footprint and the footprints of my youth expanded in lock step. I used to take the GO Bus from Murray’s Variety in Aldershot into Hamilton every Saturday morning when I was a teenager, to go to the YMCA. When my family would go to the Canadian National Exhibition in Toronto, we’d take the GO Train and get off at the “Exhibition” stop. Later, I commuted to work every day, as an 18 year old, from the Fairview station in Burlington to Union Station in Toronto and then took the subway up to the Royal Ontario Museum. And, now that my parents have moved back to Burlington, I can take the UP Express from Pearson Airport to Union Station, transfer to the GO Train and walk 10 minutes from the same Fairview station to their house. In other words, when I think about “commuting by public transit,” it’s GO Transit that’s the template in my mind. Which is all to say: what’s up with the green!? While I’m never one to argue that brands should never change, what appears to have been missed in this switch is that the new colour scheme and the old colour scheme clash dreadfully. Because the GO network includes hundreds of buses and trains and signs and stations, the switch is still in progress 4 years later (colours are updated in “ongoing refurbishing”). Design needs to consider both the old, the new, and the delta, and this is clearly a case where the assumption was that we’d all just avert our eyes and live with the clash during the delta. It’s a shame: with a little more savvy the delta could have been seamless. Written October 26, 2017 at 3:43 p.m.